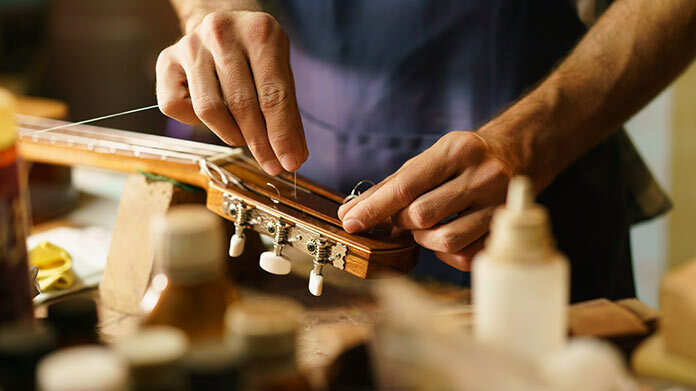 Our guide on starting a musical instrument repair business covers all the essential information to help you decide if this business is a good match for you. Learn about the day-to-day activities of a musical instrument repair business owner, the typical target market, growth potential, startup costs, legal considerations, and more! Musical instrument ownership in the United States is high. According to a 25-year-anniversary report from the International Music Products Association, about half (52 percent) of U.S. households have at least one instrument-owning musician. Of those that have a musician, about half (48 percent) have two or more family members who play something. Although this report is from 2003, instrument ownership has remained high since the report was issued. Lots of people in the U.S. own instruments -- and some of those instruments break down. Musical instrument repair businesses service and repair instruments when they need routine maintenance or break. With so many people owning instruments, there is high demand for repair work. Anyone who enjoys music and is mechanically inclined might like running a musical instrument repair business. Business owners regularly interact with people who are passionate about music, and fixing instruments is a hands-on, mechanical process. What happens during a typical day at a musical instrument repair business? The target market for a musical instrument repair business is local musicians. Because musical instruments are large and valuable, musicians normally won’t ship them into repair facilities. Instead, they’ll bring them to a repair professional in the area. How does a musical instrument repair business make money? What is the growth potential for a musical instrument repair business? 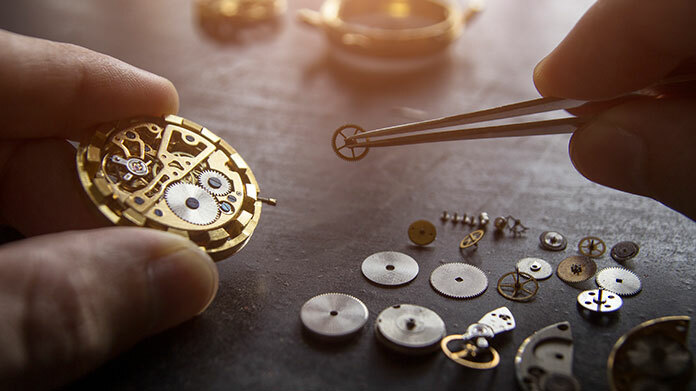 A music instrument repair business can be a small, one-person operation that maintains part-time hours, or it can grow to have multiple locations in different states. The Cayuga Music Shop is an example of a local repair business. Sam Ash is a larger company that has locations in sixteen states. Sam Ash, like most larger companies, sells instruments and provides lessons in addition to making repairs. What are some skills and experiences that will help you build a successful musical instrument repair business? 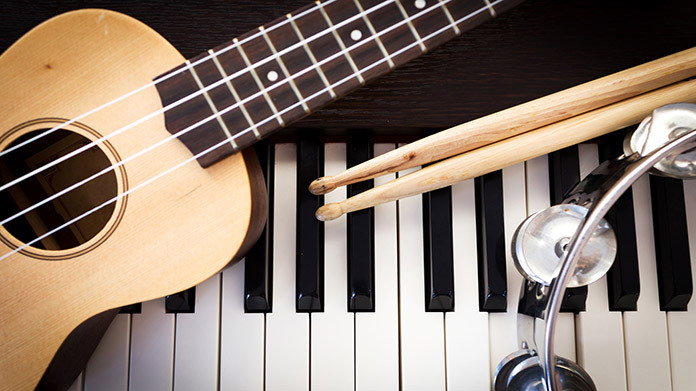 A successful business owner will be both an experienced musician and trained in the specifics of musical instrument repair. Business owner’s don’t need to be Grammy-winning artists, but they ought to have studied music during college. Without this level of knowledge, business owner’s won’t be able to help professional musicians much. To learn instrument repair, business owners should look for a local instrument repair class. Some vocational schools and junior colleges offer these classes, but they aren’t available everywhere. If attending a class isn’t possible, the next-best option is to find an instrument repair technician who’s willing to set up an apprenticeship. Online classes aren’t ideal because repairing instruments is a hands-on process. After learning the basic skills of musical instrument repair, business owners should practice -- and a lot. Practice will help refine skills, and it will show business owners what they can and can’t do with their skill set. EBay is a good place to find inexpensive instruments that can be torn down and rebuilt. Ultimately, business owners should aim to become certified. The National Association of Professional Band Instrument Repair Technicians offers certification in the field. More instrument-specific groups include the Guild of American Luthiers and the International Double Reed Society. Some instrument manufacturers, such as Straubinger, offer workshops and certifications for working on their particular instruments. What are the costs involved in opening a musical instrument repair business? 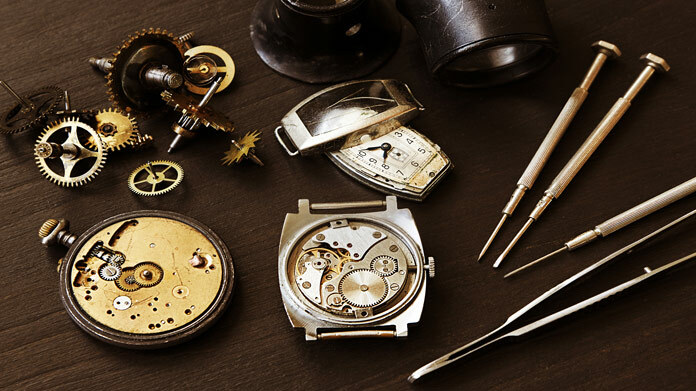 Business owners who have limited initial capital can keep these costs minimal by setting up a repair workshop in their home and using tools they already own. A few specialty tools may be needed, but a good set of screwdrivers and variously sized pliers will do a lot of the work. Many of the specialty tools that are required either don’t cost a lot new or are available used at a discounted price. Business owners who don’t want to start their operation from scratch might purchase an existing musical instrument repair business. These businesses are often affordable compared to other businesses’ purchase prices. For instance, one instrument repair business is listed at $75,000. What are the steps to start a musical instrument repair business? Form a legal entity. Establishing a legal business entity prevents you from being personally liable if your musical instrument repair business is sued. Open a business bank account. A dedicated checking account for your musical instrument repair business keeps your finances organized and makes your business appear more professional to your customers. What are some insider tips for jump starting a musical instrument repair business? When starting a new musical instrument repair business, providing every customer with the highest level of service is essential. Most business will come by word of mouth. 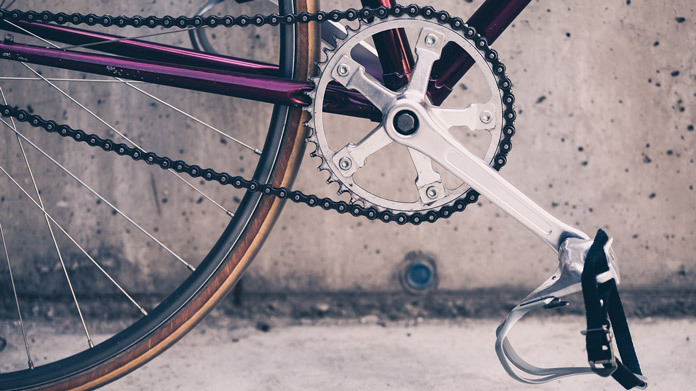 Impressing a customer will keep them returning for future work, and it’ll lead to referrals. A musical instrument repair business owner can set attract customers by seeking advanced certifications in certain types of repair. These extra certifications will help set a business owner apart from other local repair professionals. Most musical instrument repair businesses start out as a one-person operation. As demand and revenue grow, business owners may hire a part- or full-time employee. Certain state permits and licenses may be needed to operate a musical instrument repair business. Learn more about licensing requirements in your state by visiting SBA’s reference to state licenses and permits. A musical instrument repair business is generally run out of a storefront. Businesses operating out of a physical location typically require a Certificate of Occupancy (CO). A CO confirms that all building codes, zoning laws and government regulations have been met. Before leasing, confirm that your landlord has or can obtain a valid CO that is applicable to a musical instrument repair business. 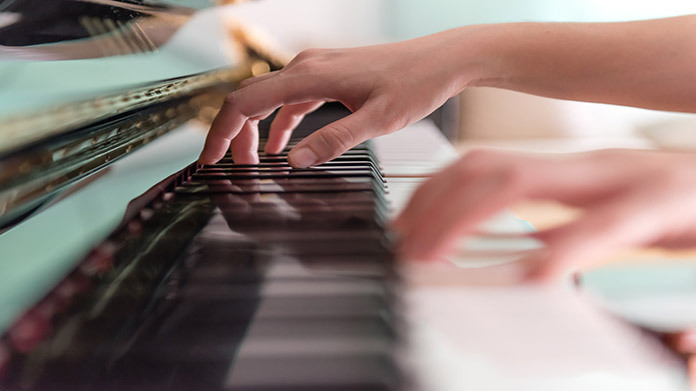 Review all building codes and zoning requirements for your business’ location to ensure your musical instrument repair business will be in compliance and able to obtain a CO. The Cayuga Music Shop has an hourly rate of $60, and most of their basic services range from $15 to $100. Repadding woodwinds costs several hundred dollars. These costs are representative of what other businesses charge. What are the ongoing expenses for a musical instrument repair business? The ongoing expenses for a musical instrument repair business are minimal. They primarily include utilities and rent. Parts costs are built into customers’ bills. How much profit can a musical instrument repair business make? A musical instrument repair business can bring in a nice annual revenue for a small business. The business mentioned above as being for sale has an annual revenue of $88,160. Because ongoing expenses are low, most revenue is profit. A musical instrument repair business may increase revenue by selling new and/or used instruments. Some businesses also rent instruments to students.